A couple of months back, I read about the concept of “one-word resolutions“. Although I’m not usually one for New Year’s Resolutions (which are often broken as quickly as they are made), spring semester is fast approaching and I don’t think it’s a bad idea to set the tone with a new outlook. That’s exactly what a one-word resolution is: not a personal flaw you want to change (like “I want to stop eating junk food FOREVER!”), but a single word you choose to shape your mindset and behaviors for the coming year. My 2013 one-word resolution is OPEN. I will be more open to new situations that I find intimidating. 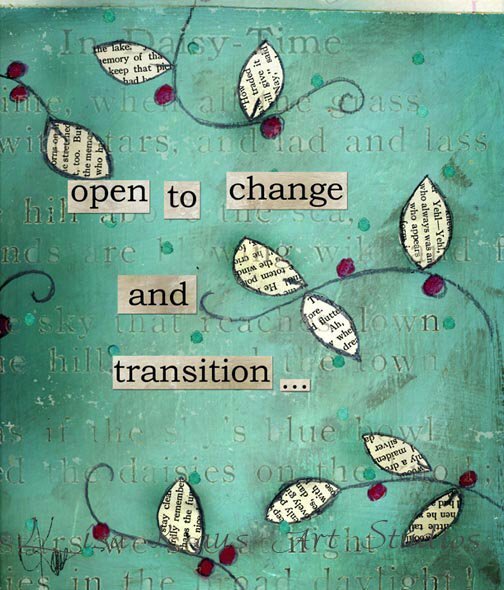 I will open my arms to daily change rather than wishing for the comfort of routine. I will be open to opportunities for growth and new ideas to promote the greatest positive personal development. I will open my arms wider to the ones that may need my help. This year, for me, is going to be all about being more open. With my final semester of grad school upon me, filled with a 20 hour/week internship, 10 hour/week graduate assistantship, and two night classes, openness is going to be a requirement. This is the final push, my last opportunity to grow as a member of the Saint Rose campus community and as a formal student, at least for now. My best wishes for all as we start a new year and new semester! What’s your one-word resolution?